This month’s Plaid project was such a fun challenge! (Well, actually they’re all fun.) The general concept of this one was that each of the Plaid Creators (that’s me!) 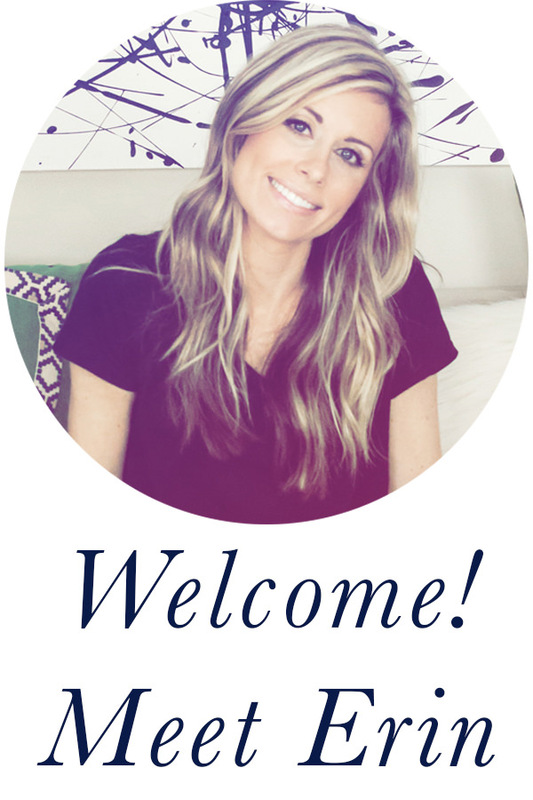 received a “design inspiration box” in the mail containing products from the new Waverly® Inspirations line, and we were challenged to create a home decor item using some of the items we received. I’ve had a stack of Instagram photos that I had printed over a year ago, and I’ve been trying to come up with a fun way to use them, so I decided to take this opportunity to create a fun way to display them! 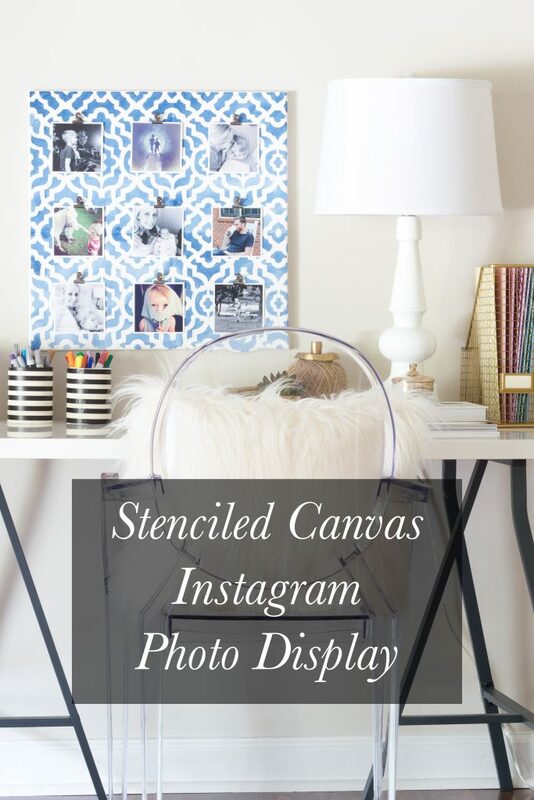 Here is a look at my DIY Stenciled Canvas Instagram Photo Display. The designs and colors of these products are inspired by Waverly Inspirations fabric, exclusive to Walmart. The collection includes paint for home decor and fabric, stencils, brushes, tools, and surfaces. 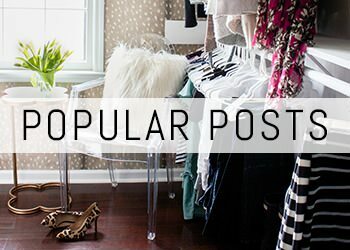 There are so many fun ways you can use all of these! 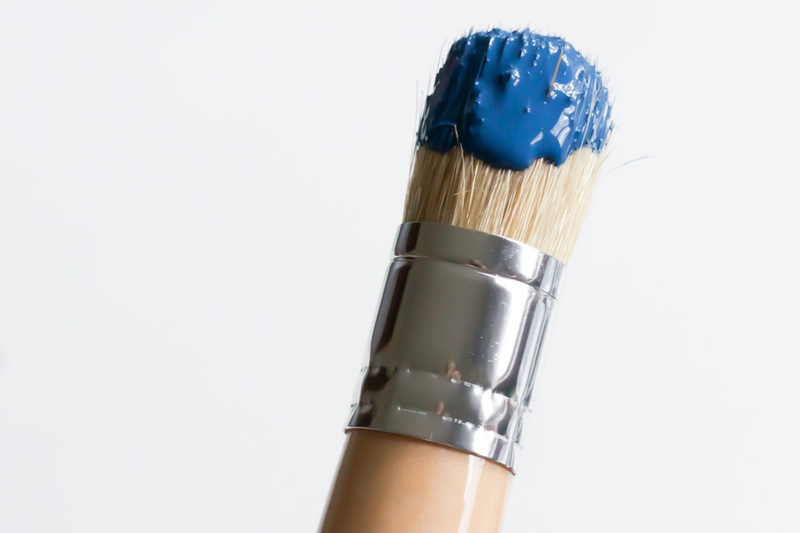 There are a variety of paint formulas, including Chalk, Super Premium, and High Gloss. (I received the Super Premium.) 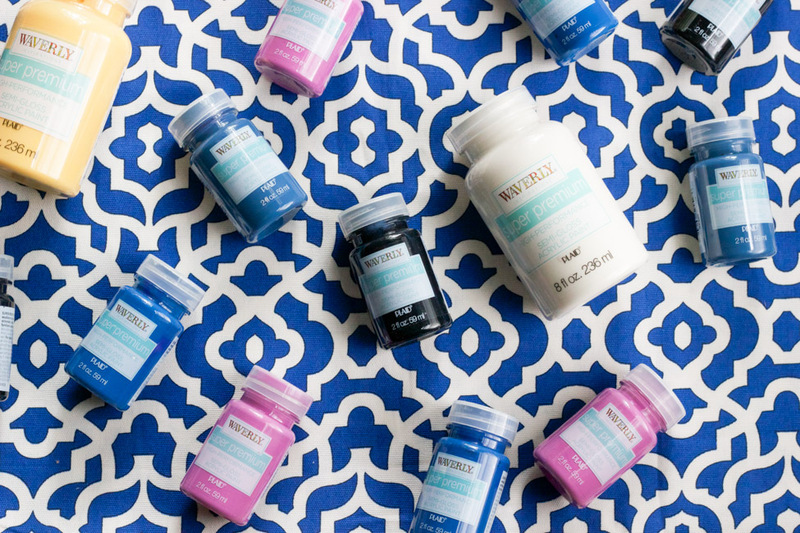 The bottles have a wide-mouth opening which makes it easy for brush dipping, and the stencil packaging comes with project and color inspiration. 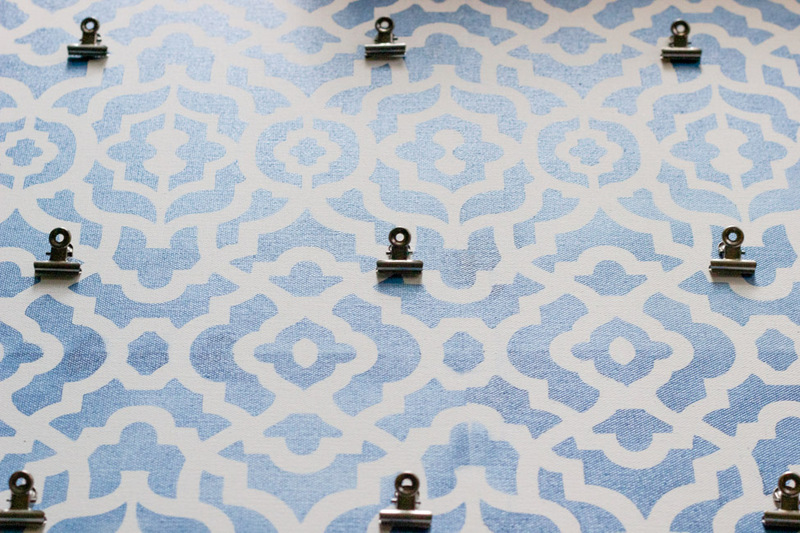 I love that the paint colors are all inspired by the fabric line. I chose to use the Super Premium High Performance Semi-Gloss Acrylic Paint in the “Ocean” color. Let’s talk about this paint for a sec. It’s highly pigmented (which I love), and it has amazing coverage. It has a semi-gloss finish which is perfect for home decor, and its durability makes it perfect for even heavily-used furniture. It’s an indoor/outdoor formula and is fade-resistant, doesn’t require a sealer, and is great for wood, MDF, paper, paper mache, decorative glass, concrete, and more. Here’s a look at it against the Waverly lattice fabric that inspired the stencil I received, as well as the color palette. 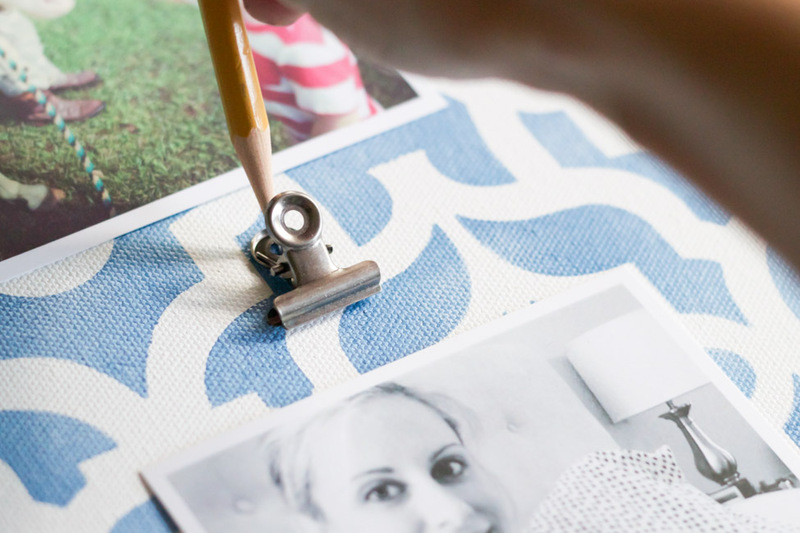 First, secure your stencil to the canvas with painter’s tape. 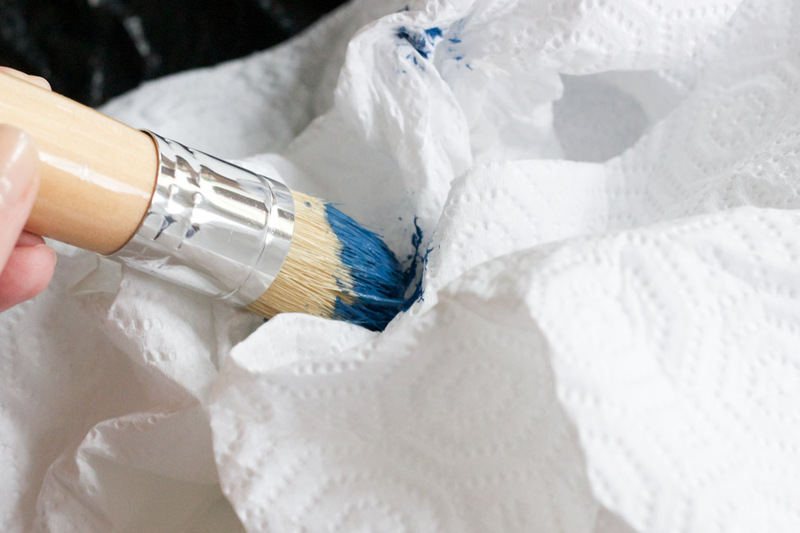 Start in the upper corner, and be sure to lay down a drop cloth (or garbage bag) underneath it. 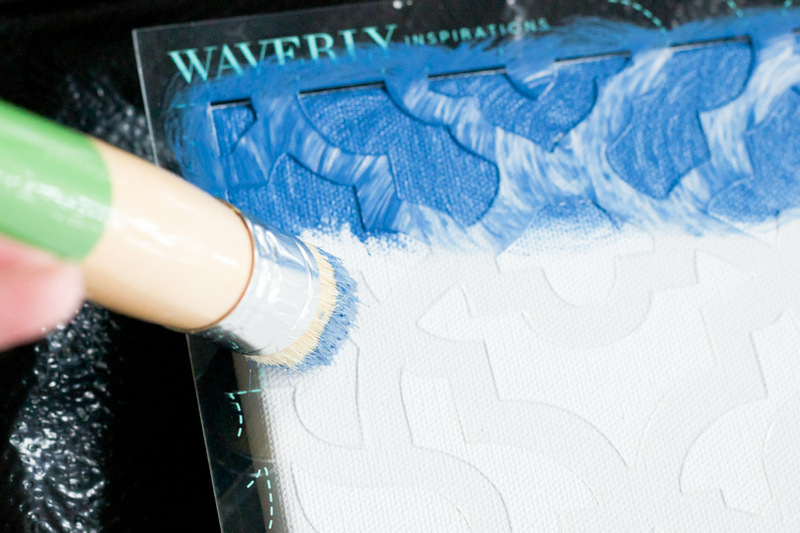 Dip your stencil brush into your paint, and then blot it on a paper towel. You don’t want it to be oversaturated or it could bleed underneath the stencil. Apply your paint to the stencil using circular motions. 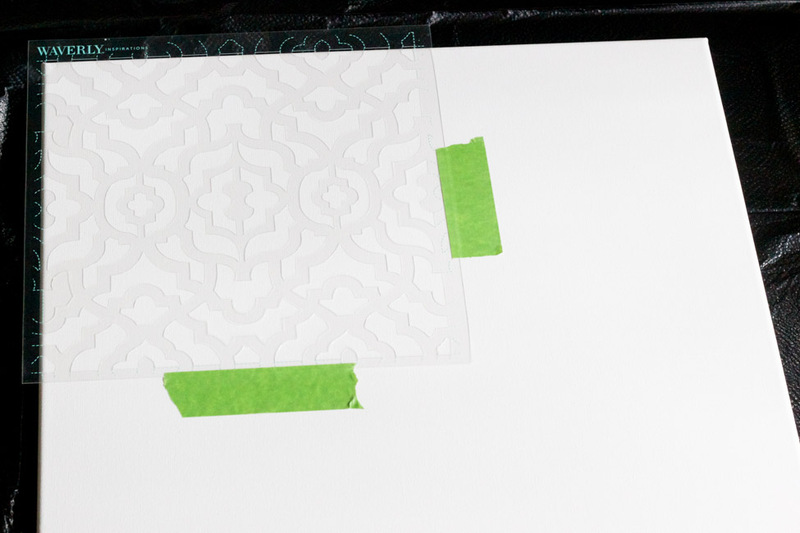 Carefully remove the stencil when you’re finished, line it up by matching up the pattern guidelines with the area where you left off, and repeat the process until your canvas is covered. 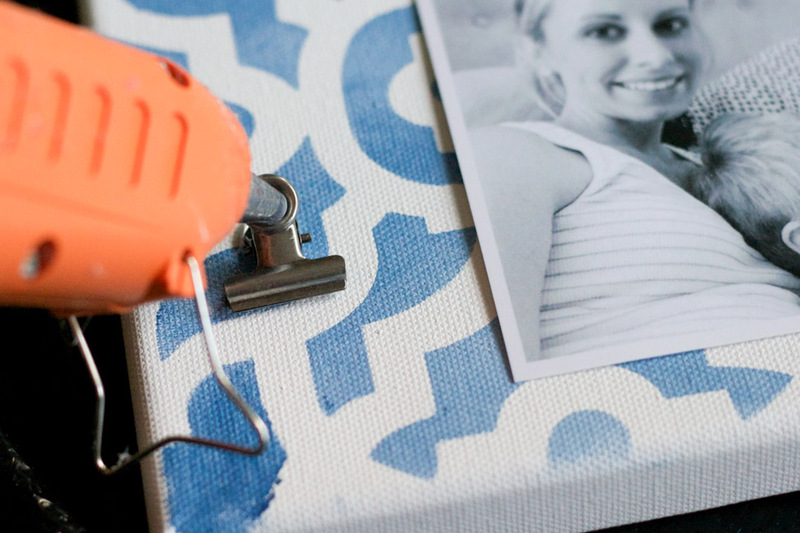 After your canvas has dried, measure (or eyeball, like I did) exactly where you want to position your hinge clips (you can find these at the craft store). I found that eyeballing their placement was easiest when I attached my Instagram photos to them so I could get a true visual of what it would look like. Then, mark the hinge clip hole with a pencil so you will know where to reattach them. Measuring would ensure that they are evenly spaced, but I just didn’t have the patience. Plus, math. Hot glue your hinge clips in place, using your pencil mark as a guide for where they should be attached. 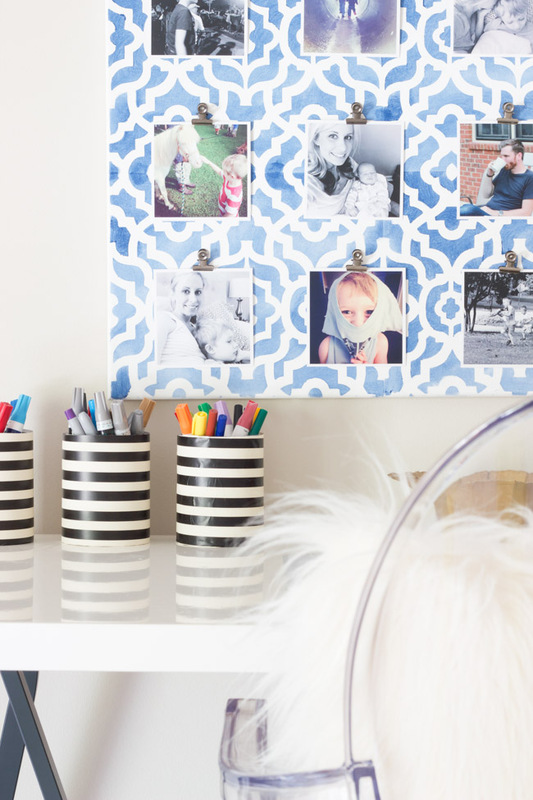 After all of your hinge clips have been secured to your canvas, you can clip your Instagram photos in place. (As for the photos, it’s been so long that I can’t remember what company I used to print them, but there are several apps available that allow you to do this.) Then, hang it and enjoy! The Waverly Inspirations line is available exclusively at Walmart and Walmart.com. You can also check out this video about the line. For more ideas and inspiration, be sure to connect with Plaid on Facebook, Instagram, and Pinterest. 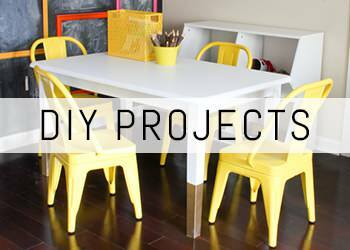 Be sure to check out the other Plaid Creators’ projects too! This is fantastic! I love the colors and pattern. I’ve stenciled a few projects, and it’s a lot of fun! Thank you, Linda! I agree, stenciling is fun! I love how this turned out, it would look great in any home. That stencil is awesome. Thanks so much, Heather! 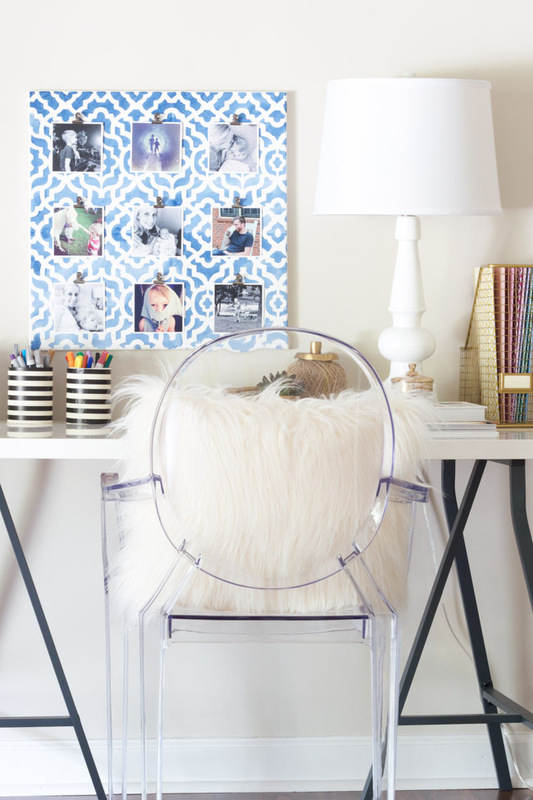 And gotta love a good ghost chair. 😉 It’s my fave. Gorgeous! I love the color variations in the stencil – almost watercolor . . . much better than just solid!